Visitors enjoy the sugar-white, sandy beaches. How many times have you daydreamed about an island getaway where you can walk on white sandy shores and hear the pounding surf? It's time to explore Gulf Islands National Seashore. The southern location of the nation's largest seashore—which stretches from Cat Island in Mississippi 160 miles to the east near Fort Walton, Florida—makes it an ideal and affordable place to visit year-round but especially in the winter. Here you can tour historic forts, bike, hike, camp, picnic, fish, boat, and swim. Snowbirds will find most of the 200 campsites at Fort Pickens Campground near Pensacola Beach, Florida, as well as the 51 campsites at the Davis Bayou Campground in Ocean Springs, Mississippi, ready for occupancy. All beaches at Gulf Islands are open. Natural and human-made changes affect these barrier islands, which are some of the most dynamic landforms in the world. Hurricane recovery from the 2004 and 2005 storms is almost complete. Also, while visiting, you might see oil spill cleanup workers picking up weathered oil products on the offshore islands in Mississippi and on Santa Rosa Island or Perdido Key in Florida. A new high-definition film, Stories of Survival, reveals the park's "must sees." These include miles and miles of white sandy beaches; 49 miles of hiking trails, including the western sections of the the Florida National Scenic Trail; and informative nature trails. The new exhibits at Fort Barrancas and Naval Live Oaks visitor centers feature hands-on, accessible exhibits, and new exhibits will open at Mississippi's Davis Bayou Visitor Center in January and February. Throughout the park more than 300 new wayside exhibits tell the region's stories and provide tips to make your visit safe and fun. Come to Gulf Islands to see four looming 18th-century brick forts and numerous coastal batteries. 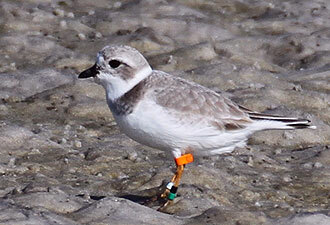 Come to photograph plovers, nesting bald eagles, and other coastal and migratory birds. Come to see peaceful bayous surrounded by gnarled live oak trees. Rangers lead daily tours at Fort Pickens and Fort Barrancas and, during tour boat season (late March to the end of October), to Ship Island, Mississippi. Tours of Fort Massachusetts are given after the passenger ferry unloads. Beginning in January 2011, Gulf Islands National Seashore will commemorate the 150th anniversary of the Civil War and the 40th anniversary of the seashore with a variety of programs such as special candlelight tours at the historic forts. 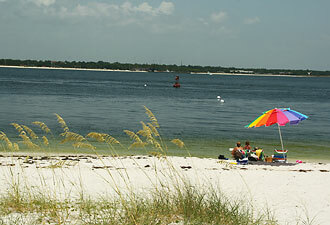 In general at Gulf Islands, weekend programs are presented at Davis Bayou Area in the Mississippi District, and additional programs are given in the Florida District. 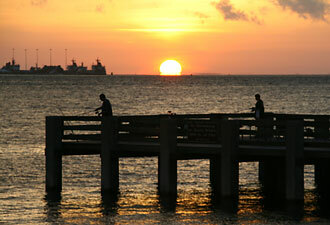 Start the new year with a getaway to Gulf Islands, and enjoy a beautiful coastal environment.